Marc Miller & Kimberly Jasper sent me - An Eventective User from Huntsville, Al. 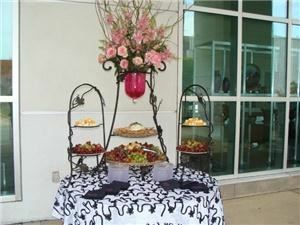 I hope Marc & Kimberly will be the recipients of the cheesecake table for their wedding. I can't think of a more deserving couple. "Claim It!" "It's Yours For The Asking!" Phuket has offered fresh and delicious Thai Cuisine and Sushi to our guests at the location in the Village of Providence since 2006. Now we want to bring the same excellent quality food to you at your location.For any occasions or any events, pickup or drop off, Phuket will bring the delicious food to you and make you like the hero!